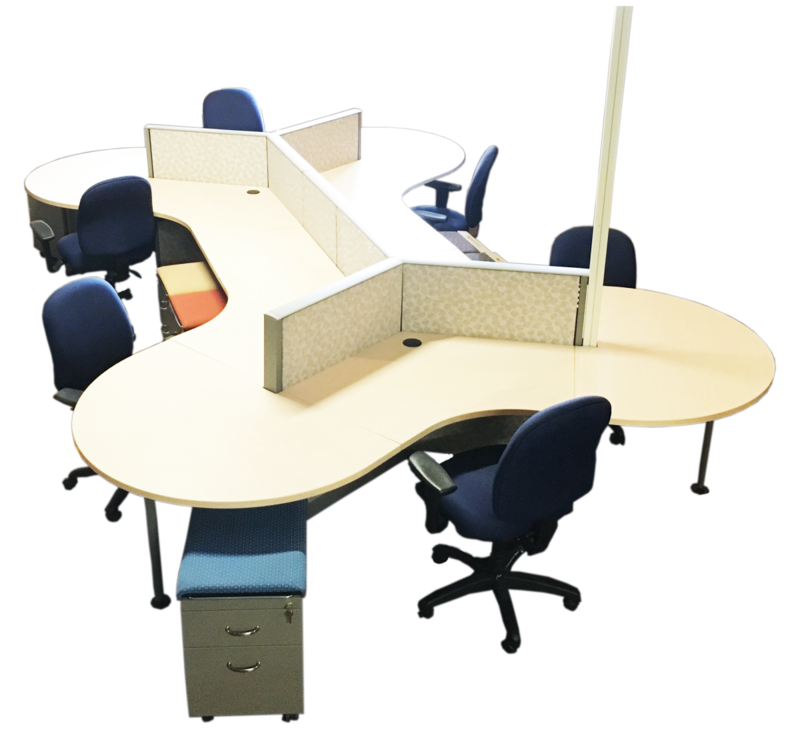 This used workstation has plenty to offer for any modern working environment, with mobile fabric topped pedestals that double as seating for guests. It also includes rising walls to separate the work areas just enough to still allow a comfortable level of conversation and collaboration. Grommets are standard to each section and power poles run from the ceiling into the desk to allow hookup. Call and ask about pricing today and other ways to increase collaboration in your office! Chairs sold separately. Standard colors shown available. Delivery and Installation fee will apply. I would like to receive pricing for the following item: Steelcase "Dogbone" Collaborative Workstation w/ Peds.